Home » Resources » Blog » From Our Team at Roper Physical Therapy » 15 Years of Roper PT! 15 Years of Roper PT! Christine Roper, MSPT, PYT opened her private practice in 2003 and has served over 25 years as a licensed physical therapist. 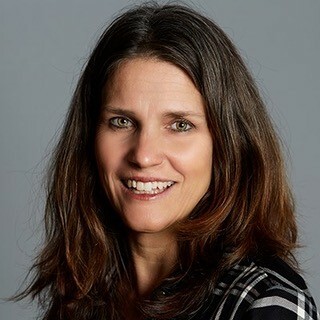 In pursuit of combining traditional physical therapy with alternative modalities for the treatment of pain and dysfunction, she became an expert myofascial release practitioner completing her training under John Barnes, PT, LMT, NCTMB. She is also a graduate of the Professional Yoga Therapy Institute for healthcare professionals studying medical therapeutic yoga under Ginger Garner PT, ATC, ERYT-500. 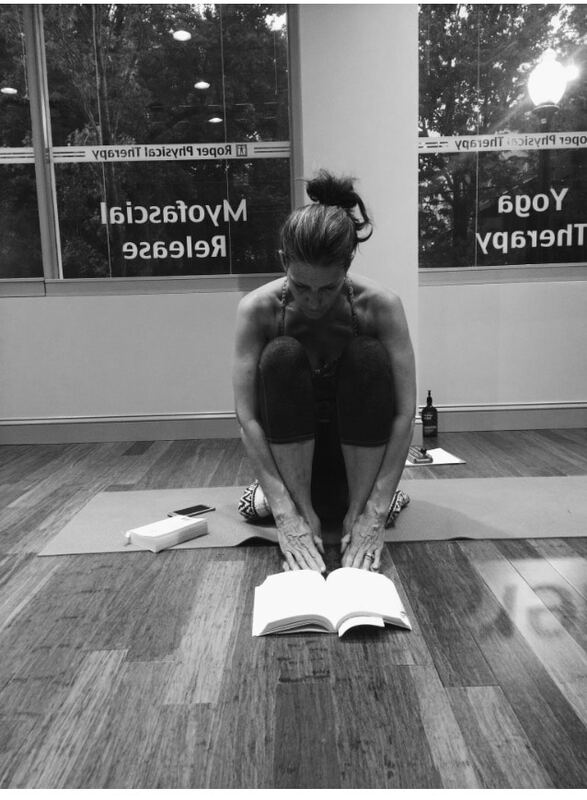 In 2012, she joined forces with friend and colleague, Lynne Ray, PT, CSCS, PYT implementing medical therapeutic yoga (MTY) program on its own and than in her clinic in 2014 practicing yoga with individual clients, classes and serving several mid-sized companies throughout Charlotte, NC. I decided to ask Christine a series of questions about her 15 years of experience as the owner and founder of Roper Physical Therapy. We talked about how she made her decision to go out on her own, her experiences and motivations, and what she considers success. Interviewer: What ignited the spark in you to start your business after ten years with Carolinas Healthcare Center? So 2 weeks before Christmas I did it! I shared the office space with the PT from that lunch and another talented woman, who was also a physical therapist, until 2013 when I moved into our current location with Shannon Mullaly PT, CSCS and Lynne Ray, PT, CSCS, PYT. The business continued to grow and we added one patient after another. Myofascial release takes time and this new venture gave me the time I needed with patients to be effective. I could treat patients from head to toe without the paperwork and time constraints I had in other healthcare settings. Many healthcare settings require you to see 20-30 clients/day, but, with our business model, we are able to see one patient an hour or 8 clients/day. Interviewer: If you had the chance to start your career over again, what would you do differently? Christine: The only thing I would have liked to do differently is obtained my certification as an athletic trainer. I completed all my 1500 hours and documented it, but never sat for my boards. It hasn’t impacted me today, but I wish I would have had a mentor to tell me to sit for the boards. I worked full-time, while I attended PT school and I didn’t have much spare time. Interviewer: In your career and life, what motivates you? Christine: I am a constantly seeking learning opportunities, both personally and professionally. Whether its people, podcasts, or articles, I love to learn and discuss. It stimulates my brain. I also need to be able to move. Movement motivates me, whether its hiking or working out. These things are what really make me tick. I have a strong faith in God and his plans for me. I meditate and pray every day for guidance. Interviewer: How do you define success? Christine: I am a very spiritual person, I ask and pray, and listen to God about what I am supposed to do that day. I feel success comes when, at the end of the day, you have contributed to society, emotionally, physically, and spiritually. Depending on the day, what hat or hats I am wearing, whether it was physical therapist, friend, mom, sister, or wife, I reflect and think about what I can do differently. If I have worn that hat well, that is a success. If I haven’t, but can implement a change, I consider that a success as well. Interviewer: Who has been your greatest inspiration? Christine: Hands down, my mom and my husband. I watched my mom raise eight children, work, and lead us to believe in who we were, what we were doing, and that we should do it well. She also developed my spiritual life. Today, I have 7 siblings who are amazing people who all contribute to their communities in great ways. Bill, my husband, who I met through Habitat for Humanity, has been my greatest advocate. We just celebrated 20 years of marriage. He has always encouraged and problem solved with me. He is an entrepreneur, so I am able to bounce things off him. He is absolutely brilliant and always able to think about things in a different light and different way. Interviewer: What do you most attribute your success? Christine: Building a great team. From the people who take care of your kids to the incredibly smart, highly-trained physical therapists, and the staff you hire and work with every day to the friends you surround yourself with! That is so important! Also, I joined a business group NAWBO (National Association of Women Business Owners), which is a group of women business owners who support one another. And my patients! You deliver a service to your patients and they refer most of my new patients back to me, because of the experiences they have with you. Interviewer: What has been your most satisfying moment in business? Christine: The innovation of developing a product that you wholeheartedly believe in, which is why you spend the long hours and days working. When you hear clients saying I am so glad I met you, I can’t believe how this has changed my life, and other testimonies. It’s evidence of the work, the product, and how we deliver it as well as our team approach. Interviewer: What sacrifices have you had to make to be a successful entrepreneur? Christine: Initially, its only you, so your down time to travel, read leisurely, etc., is lost. Your time with family and friends is short-changed. My friends get so frustrated, because I don’t return texts for days, sometimes weeks. They wonder why I even carry a phone! Interviewer: Would you do it again? Christine: No doubt about it! Interviewer: I knew you would say that! So in conclusion, where do you see yourself and your business in the future? Christine: The vision is to be the go-to physical therapist in the Piedmont area for patients, their families, and friends, utilizing The Pentagon of Wellness and Myofascial Release to promote a healthy lifestyle for patients as well as corporations. ← Through the Eyes of a Patient, Foam Roll Workshops at Roper PT!